The nature of Russia’s political and social system sparks animated debates among scholars and experts, while the Soviet past remains a matter of equally passionate research and discussions. Sociologist Alexander Bikbov has made an original contribution to these debates with this new book. 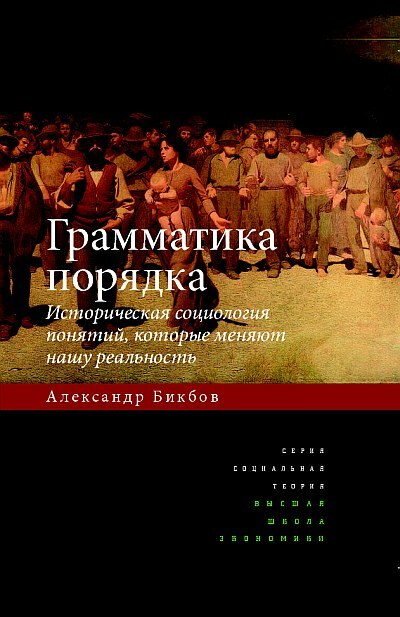 In this fundamental study of Russian and Soviet societies, Bikbov has based his research on a pioneering method, the historical sociology of concepts. Analysis of large-scale social change is articulated here with a meticulous study of the conceptual apparatus that provides different historical periods with their public vocabulary. The book thus provides a new and a more profound view of Russian society over the last twenty years, including the transformations of its public sphere, its political and academic structures, and struggles around the concepts of middle class, democracy, Russian science, and the Russian nation. The book likewise introduces a revolutionary approach to the Soviet period, reconstructing the hidden social and political dimensions of such concepts as scientific progress, the well-rounded individual, socialist humanism, and the social problem. Special attention has been paid to the role of academic expertise in investing the political regime with meaning, a matter rarely addressed in historical studies of the Soviet era. Chronologically, the book spans the period from the social upheavals of the late nineteenth century to the 2011–2012 protest movement. A look at the similarities and differences in Russian and international (primarily French) social history gives the study particular vividness and depth. With its theoretical ingenuity, innovative research techniques, clarity, and brilliant systematization of extensive factual material, the book will be of great interest to historians, sociologists, political scientists, social linguists, philosophers, and students of Russian society, as well as the wider public of educated and critically thinking readers.